Keeping important documents in your home helps make them easily accessible whenever you need them. However, it’s important to keep irreplaceable or sensitive documents safe and secure if you store them in your house. Especially for irreplaceable documents, consider an important document storage solution with a locking mechanism that resists fire and lives in a place that is out of sight. Keep original birth certificates of everyone in your family in a secure, fire-proof safe. If you need a birth certificate for identification, make copies to use for documentation and enrollments. Luckily, if you don’t have an original copy, request and order a duplicate certificate from the Vital Records office in the state of your birth. Additionally, store foster or adoption legal papers in a home safe. Used often to prove identification, social security cards need easy accessibility and proper security. Never carry social security cards in wallets or purses. Social security cards may be requested by employers or government bodies. Utilize cards as necessary, but immediately lock social security cards in a home safe for safe keeping and protection. Passports also prove identification for many legal or formal documents. Unlike birth certificates and social security cards, passports require more documentation to replace and need to be safely stored in your home. Using a safe to protect passports also keeps them safe from natural disasters. A living will provide instructions to execute on your behalf should something happen that prevents you from making health decisions. A last will and testament, however, details your estate and lists who gets what once you pass away. To be legally observed, put together a legal will, get it notarize then keep a copy in a home safe. Financial experts advise keeping tax returns for at least three years. Should the IRS decide to audit your financial filings, they have three years to perform an audit. 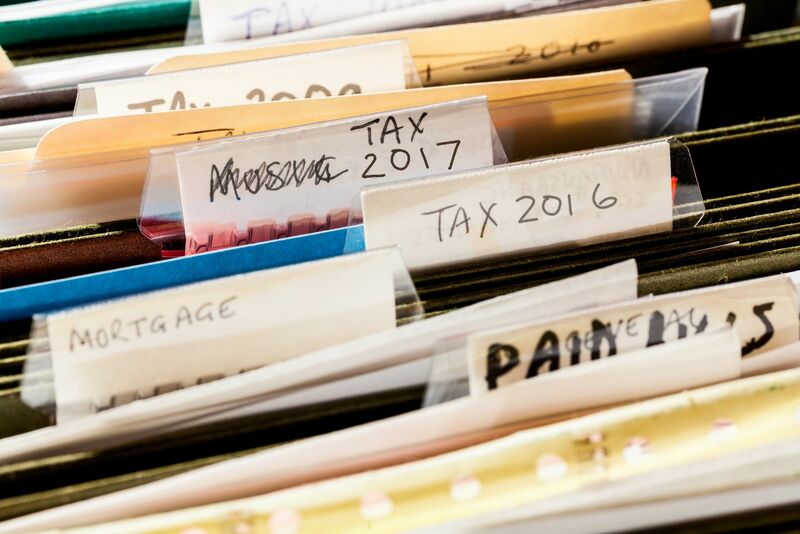 However, consider storing every year’s tax returns and supporting documents. Many people file electronically, but it’s useful to also keep and secure a hard copy should anything happen to your computer or online storage system. Keep mortgage papers, property information, home blue prints and any real estate deeds in a home safe. Similarly, store copies of the titles and registrations for all vehicles you own. Use a safe to protect additional ownership documents for other valuable property or vehicles like boats, trailers and tractors. These days, most banks upload financial statements to online customer portals for easy, electronic access. However, use a home safe to store a list of your accounts, including account numbers and institutions for each. In the event of an accident, a comprehensive list of accounts, with online login usernames and passwords, helps family and loved ones organize financial affairs if you cannot. Safely story professional appraisals on your house or any high-value you item you own (such as original art, heirloom jewelry, or antique furnishings) in a home safe. Take extra precautions with appraisal documents, as copies or duplicates may not be easily available. Also, an original appraisal helps confirm value if you intend to sell or auction items. Keep your marriage certificate and/or divorce papers in a home safe. Store additional legal documents related marital status, like prenuptial agreements, alimony, or child support agreements, too. Legal documents tend to be kept as hard, print copies. A home safe helps protect irreplaceable documents from natural disasters or break-ins. It is good practice to scan irreplaceable photos or prints and store them electronically. However, a home safe helps protect the originals. Consider keeping other irreplaceable documents like hand-written letters, cards or notes protected by using a home safe. Use a Cannon Safe Home Safe to keep your important documents safe at home. Home safes protect your important and sensitive documents from intruders and other extreme conditions. Safely store documents at home, without sacrificing protection and security, with a Cannon Safe Home Safe. Learn more about the Cannon Safe brand promise and how you can choose the right safe for your needs. Browse our website and find a national retailer near you today.